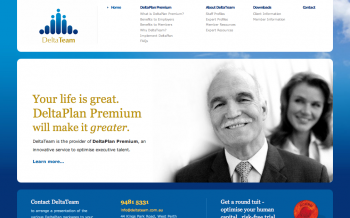 The DeltaTeam site was developed to provide a friendly, professional and easy to use interface for DeltaTeam clients. It is used as a first point of contact for new or prospective clients. It makes use of a number of Drupal modules, especially CCK and Views.